All Grain English Porter homebrew recipe. 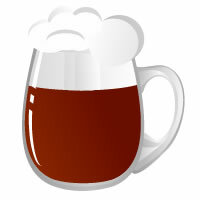 This homebrew recipe uses the following ingredients: Maris Otter Pale - UK, Brown Malt - UK, Caramel/Crystal 40 - US, Chocolate Malt - US, Fuggles Hops, Danstar Nottingham Homebrew Yeast. This recipe was cloned from Who's your taddy porter. Brought it to share with family at xmas, they all liked it. For me personally, I grew tired of it pretty quickly. I think the roastiness was a bit too much, and I craved more of a chocolate or vanilla note. I won't brew this again, but this was a success as far as learning the style. Wife’s friends were over, they sampled it and loved it, asked for full pours. Brought a growler to neighbors party, everyone that tried it really enjoyed it. Craft beer enthusiasts said it was true to style.